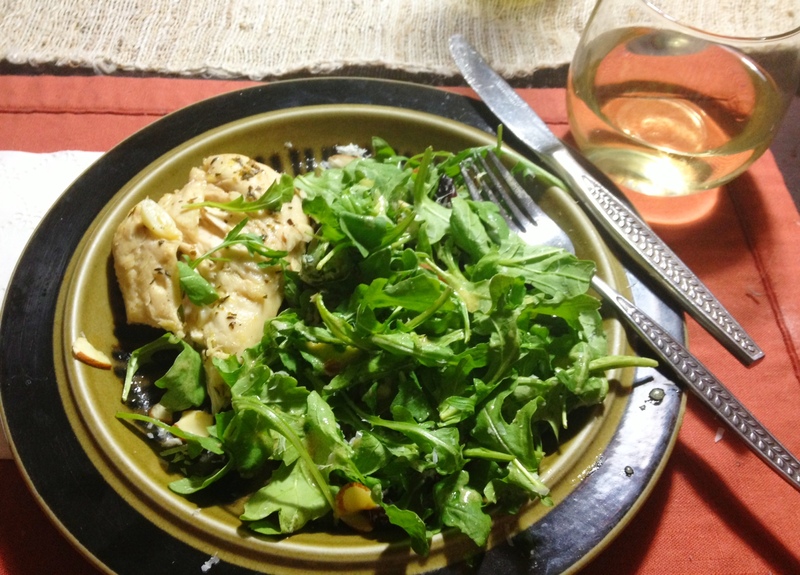 A perfect impromptu meal: Grilled Chicken with an arugula salad. The Lemon Dijon Vinaigrette perfectly pulls it all together. Seriously, why does anyone buy salad dressing from the store? One of the most simple and satisfying dinners, made on a whim.